The Wildcat Baseball store is open! The Verona Baseball spirit-wear store will be open until Monday morning, April 2, 8:00 am. Head over to our special Badger Sporting Goods site to place your order. Click on the image below for a PDF flyer with ordering details. 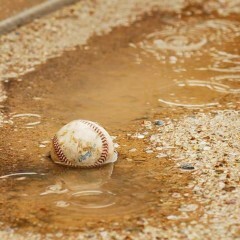 Rain strikes again… All three games against West this afternoon have been postponed. Games have been rescheduled for Monday, April 17. The Freshman game will start at 5 pm while JV and Varsity will begin at 6 pm. Locations remain unchanged at this time. JV and Freshman were postponed April 4 due to wet fields. The Freshman home game was rescheduled for Friday, April 7, but Janesville schools closed Friday due to safety concerns. As of now, neither game has been rescheduled. We’ve revived our Facebook page! The “f” icon at the top of each page now takes you to the right place. Keep an eye out for some past season albums to be posted soon. Some snapshots from games this year would be great, too! 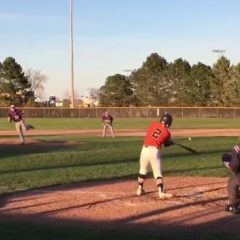 Use @veronavbaseball to tag our page in your posts or photos. 2017 Apparel – Order by noon Monday! Update: Store open until noon Monday. Order soon! The Verona Baseball spirit wear store is accepting orders through Sunday, April 2. 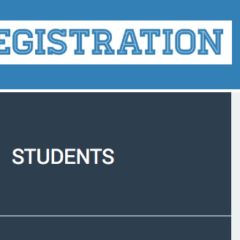 Head over to the special Badger Sporting Goods site and enter “VABS17” for the login. Click on the image below for a printable flyer. 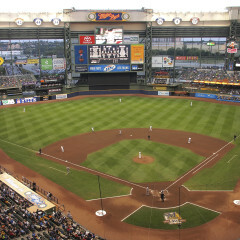 Join VAHS baseball for a Brewers game Sunday, April 23. The Crew take on the Cardinals at 1:10 pm. 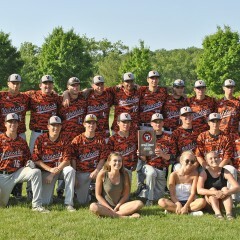 Ticket sales support the Varsity game at Miller Park on May 17. Additional forms are available here: 2017 Brewers Ticket Flyer Pass on to friends and family outside of the program too! Here are some important pre-season dates and details for 2017. A reminder that there is no open gym this Saturday, Feb 11. They will continue next week until tryouts. 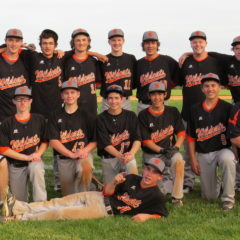 Support the ‘Cats by buying corporate and group blocks of Brewers tickets through Wildcat Baseball this year. Monona Grove defeated Stoughton 3-1 on Tuesday evening. They face the Wildcats at Stampfl on Thursday at 5 pm for the Regional final. Sectional and State games are a good drive away this year (Beloit & Grand Chute), so this is a great game to kick off the ‘Cats playoff journey! Come out Thursday and pack the “Chuck”! The 2016 Baseball Banquet will be held Monday, May 30th from 5-7pm in the Badger Ridge Commons. See this flier for more details. 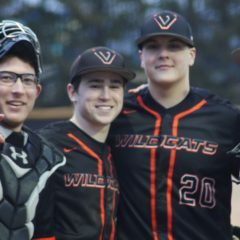 Verona has earned the second seed in Sectional #5 of the WIAA spring tournament, netting them a bye for the first round games on Tuesday, May 31. Stoughton and Monona Grove will battle for the chance to face the Wildcats at Stampfl on Thursday, June 2. 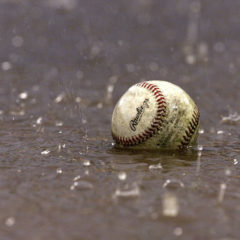 All three games away against Beaver Dam have been canceled for Friday (5/13) due to rain. A rescheduled date will be posted as soon as possible. With the field not playable after our two days of rain, the Freshman home game against Beloit Memorial today has been postponed. It has been rescheduled for Monday, 5/16 at 5 pm. All three games were canceled Tuesday (5/10). The Varsity and JV away games against Parker have been rescheduled for Saturday, 5/14 at 11 am. Locations remain the same. 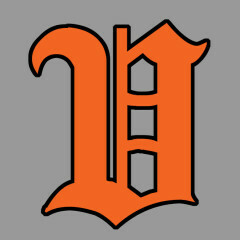 The Freshman home game against Waunakee has been rescheduled for Monday, 5/23 at 5 pm. 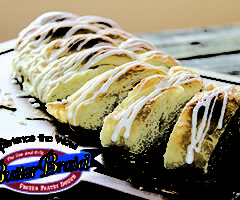 Don’t forget to pick up your Butter Braid orders today (Wed, 5/4) at the K-wing. Pickup is between 4:30 and 6:30 in the Commons. All three games against Madison Memorial were canceled Thursday (4/28). Games have been rescheduled for Monday, 5/2 at 5 pm. Locations remain the same. With steady afternoon rain, Varsity and JV games against East were canceled Tuesday (4/19). Games have been rescheduled for Monday, 4/25 at 5 pm. Locations remain the same. 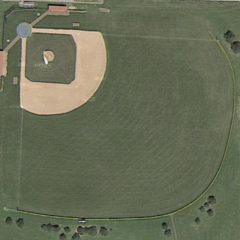 Due to a lack of opposing players (and weather now), the extra Freshman game against La Follette scheduled for today (Tuesday, 4/19) has been canceled. 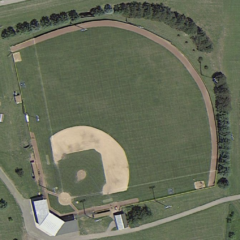 Weather permitting, practice will be held as usual at 4pm on the BRMS field. Weather was not permitting… practice canceled!